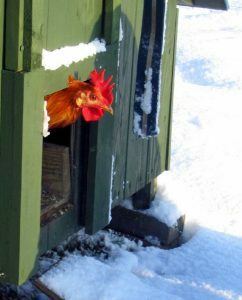 Home › Keeping Chickens › Winter Jobs Around the Hen House – Be Prepared! 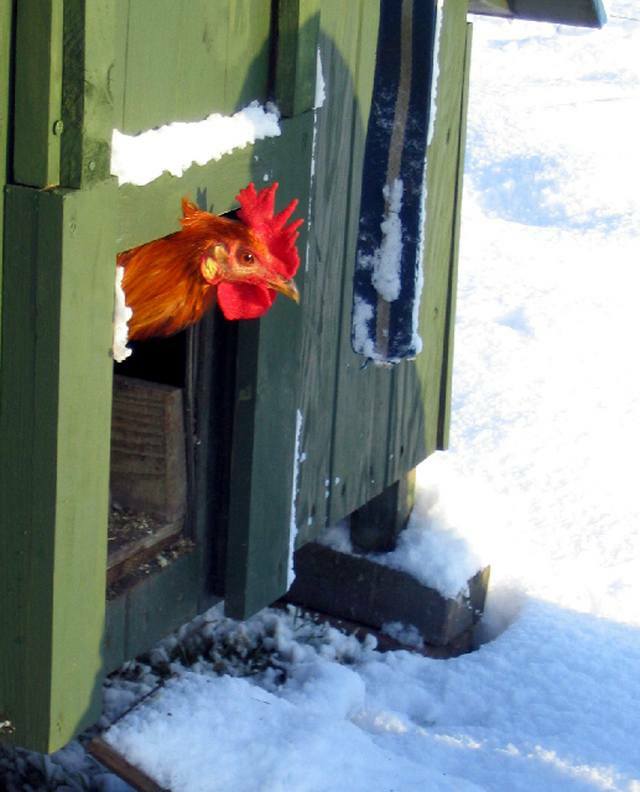 Winter Jobs Around the Hen House – Be Prepared! The time to prepare for winter is before it arrives. That may seem obvious but too often we put the winter jobs off until it is too late and the weather stops work. Winter is the hungry time for wildlife. If there is a gap in your security, winter and spring are the times when they’ll find any gaps. Winter because they’re hungry and spring because they have young to feed. Check around the perimeter fencing for gaps. Perhaps netting has come away from the post leaving it loose enough to make a gap. Posts can work loose as well and the first you know is when you arrive to find it at an angle and the fox has been. Look for any signs of digging. The ideal fox-proof fencing should have a skirt going to the side to prevent a fox digging underneath. They’re cunning and wily creatures, if they can lift the skirt to dig under they will. If you’ve a gate into the run, is it secure? Maybe the catch is fine but the base can be pushed in to give that little gap the fox needs to gain access. If you rely on electric fencing, test it frequently. Make sure the grass hasn’t shorted it – grass can grow quite a lot in warm winters. If the coop is raised above the ground, the gap under is perfect for rats and mice. Don’t use poisons in case your birds eat the body – hens will make short work of a mouse. An old fashion trap could be the answer. Rats have strong jaws and teeth that keep growing. Ideal for gnawing a hole into the house. You can reinforce the base with weld mesh or even a sheet of metal if you have a major problem. If the rat makes a hole, then there’s a danger that the weasel will get in through it and they can be worse than a fox. Does the pop-hole close securely? Are hinges, bolts etc. in good condition and operating correctly. Any problems need sorting now. A coating of oil, WD40 or 3 in 1, will keep them free running and, applied monthly, rust-free. Check for any holes in the wood and repair if found. Mesh coverings over ventilation may need re-fixing if loose. With wooden houses it’s a good idea to give them a coat of preservative annually. Even the treatments that are supposed to last 5 years will benefit from an annual top-up. Now we’re ready for a ‘normal’ winter, the house and run as secure as possible against predators. Most often the British winter is a fairly mild, if wet affair. But not always – 1996, 2010 stood out for low temperatures. In 2010 we had weeks of below-freezing temperatures and snow. It fell to minus 15ºC a few times which was challenging to us, never mind the chickens. Those years are rare nowadays, but they do happen. We don’t normally heat our domestic hen houses. The hens come equipped with a feather duvet and are naturally quite hardy. What is really bad for them is damp and draft. They need ventilation but not a wind whistling through the coop. Make sure the pop-hole doesn’t face into the wind and provide wind breaks if possible. Not just for drafts but also to stop wind chill from cooling the house further. Don’t worry about snow on the roof, it’s actually quite an insulator. A thicker layer of shavings on the floor will help a little as well. Be careful with straw in the winter. If it gets damp then it can grow moulds which will have health effects on the hens. In really bad conditions, like minus 15, consider building a temporary shelter over the coop with tarpaulin or plastic sheeting. Or if you’ve only a few hens, perhaps you could bring them into a garage or the house until the worst is over. 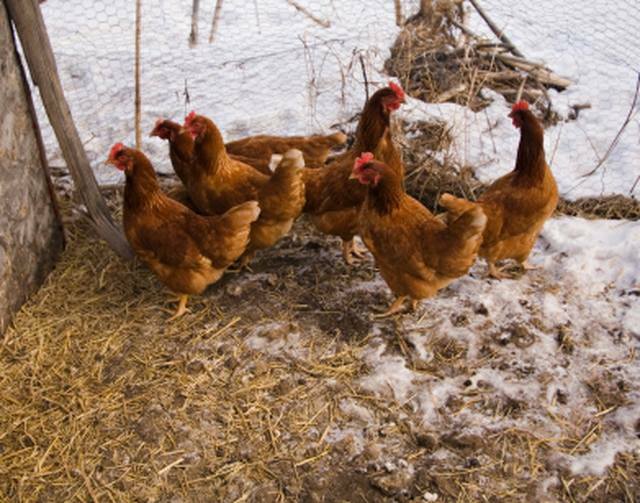 If you’ve fowl with large combs and wattles, they are at risk of frostbite. Giving them a coat of Vaseline will help protect them. If they do get frostbitten, seek veterinary assistance. Even in very cold weather the birds need to stretch their legs. If you can clear snow that will encourage them but ideally some cover above the birds to keep them dry. I’ve seen hens get confused in blowing snow, you may need to shepherd them back indoors. Watch out for the water freezing. Change frequently. Refill with cold water – hot water freezes faster than cold. I know that sounds crazy but it is a fact known as the Mpemba effect. Placing a cheap bucket with a notch cut into it to allow access over the drinker will help and you could try heating the water in situ with a greenhouse heater or soil warming cables if you have the DIY gene. But experiments undertaken in the USA in the early 1900s showed a marked increase in winter egg production in heated houses. The reason was most likely that the cold birds were using their feed to keep their temperature up rather than making eggs. Giving extra layers pellets or a feed of wheat and or oats at the end of the day will help keep them warm as they digest it over-night. Don’t forget to hang them some greens both for the interest and to keep variation in their diet. In winter day length is reduced and the birds will spend longer roosting in the long nights. Since they produce more poop when asleep than they do in the day, you may need to clean out more frequently.